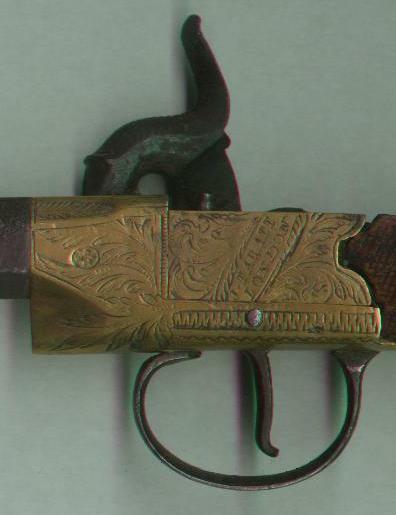 This percussion pistol was made circa 1830. The piece is marked "J. Tarratt" "London." It is missing some parts but is in good condition otherwise. Composed of wood, steel, brass, and silver plate. Intricate engraving. Octagonal barrel. Pres. 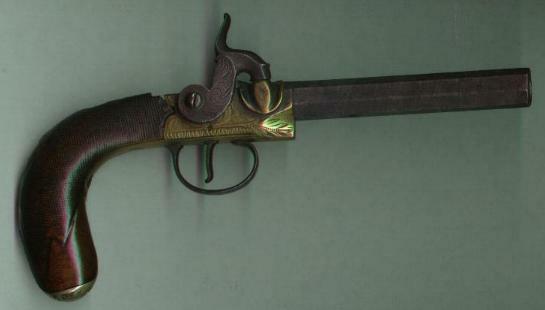 ANDREW JACKSON gave the pistol to his friend and neighbor RICHARD WATKINS about 1830, who then gave it to his stepson, Gov. JAMES CHAMBERLAIN "Lean Jimmy" JONES. At some point, Gov. JONES passed the pistol to his half-sister AGNES WATKINS SAYLE HOLMES. She then passed it to her son JAMES WATKINS SAYLE who passed it to his son WILLIAM H. SAYLE. WILLIAM SAYLE passed it to his wife’s relative, ALVA L. CARTER. The CARTER family passed it to LEWIS M. MULLINIX who was a close friend of the CARTER family and owned a museum in Lookout Mountain, Tennessee. 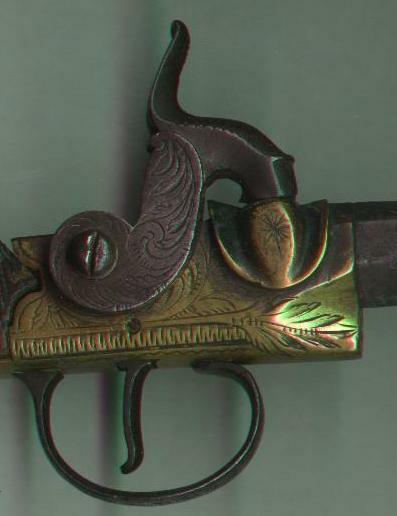 He gave it to his son, ROBERT L. MULLINIX, and after many years, the pistol was purchased from Mr. MULLINIX by RALPH P. GANIS, a former Director of The Andrew Jackson Memorial Museum of the Waxhaws. b: Abt 1775 Amelia Co, VA-d: Sep 17, 1838 Wilson Co, TN? RALPH P. GANIS - who sold it to a private collector.